February is one of those months that can actually be a welcome respite before the hordes of tourists descend on tiny Florence. I personally love being here in winter, yes it can be quite cold and you might need to wear warm clothes inside your house due to heat being quite expensive, but when there is sun outside, it is simply glorious. It just gives us all a reason to put our boots and hats on, take long walks and stopping only to sip thick, warm hot chocolate or tea. 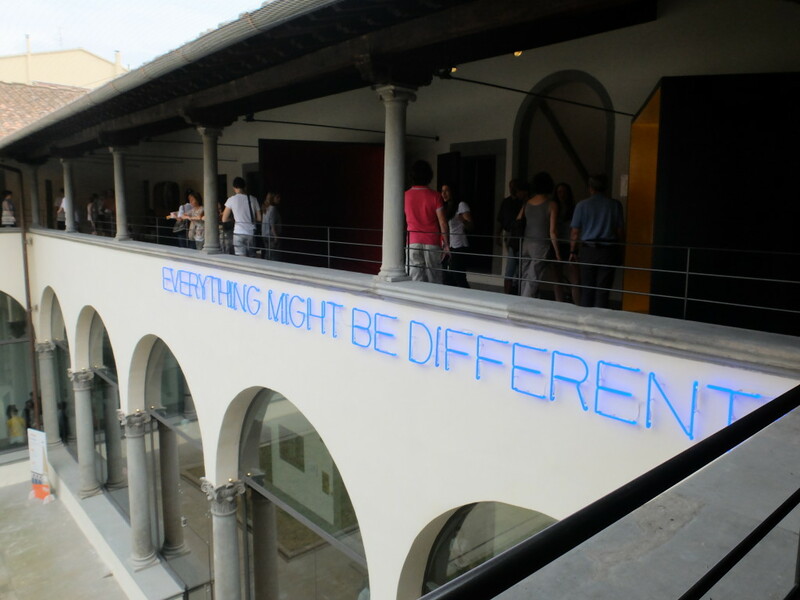 There are some additional good reasons to get excited about February, two free museum days for one and a chocolate fair extending over a week in the historical center, plus all the cool new things Yelp Firenze is doing. Also did I mention frittelle? As always, I will be adding events to this list throughout the month as I find out about them and if you know of one I should include, write me in the comments! Art | #DomenicaFiorentino ‘Sunday at the Museums. State Museums Open to the public. When? February 1. The first ‘free’ Sunday of every month has now become the institutionalized ‘Florentine Sunday’ which means state and municipal museums are free to everyone (this includes the Uffizi Gallery, Palazzo Pitti, the Gallery Academy and the Medici Chapels to name a few) with this month’s emphasis on Florence’s newest addition, Museo Novecento (with family activities) Florence’s museum focusing on the 1900’s. 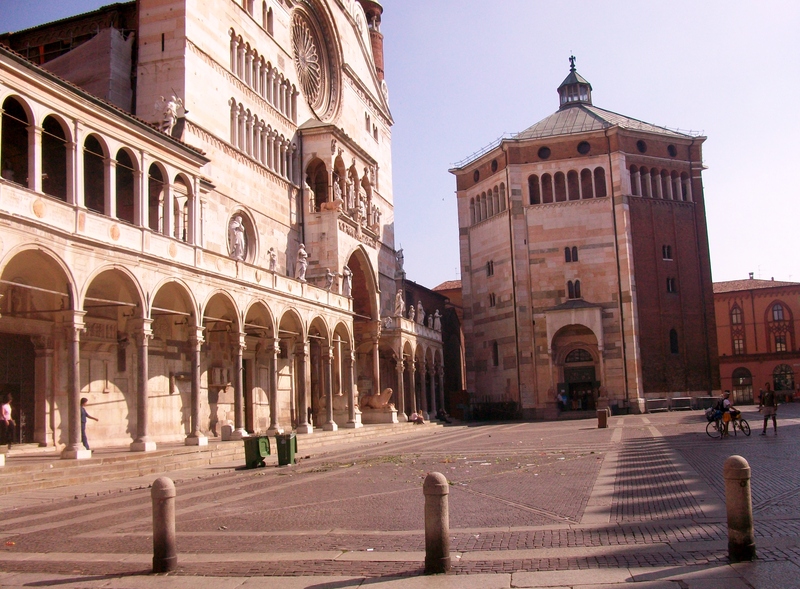 Check out the full list of museums in Tuscany here. How awesome is this? Brava Italia! Chocolate | ‘Fiera del Cioccolato’ in Piazza Santa Maria Novella. When? February 6-15th (10am – 10pm). I say screw Valentine’s day and have your own love affair with some artisan chocolate in one of my favorite piazzas in Florence, the ever-more-awesome piazza santa maria novella. 10 days of chocolate events, including workshops as they try to make visitors part of the ‘show’ at this years fair. Also interesting is the concept of explaining how good cocoa is for the health (every girl dreams to hear this, not least of all me!). Theater | ‘L’ultimo Harem’ (The Last Harem) at the Teatro di Rifredi. When? Until February 15th. I am still on quite the ‘Istanbul’ high from our trip during the Christmas & New Year’s Holidays which is why I sorta had to add this event (besides that it looks pretty cool). ‘L’ultimo harem’ was inspired by the stories of Nazlı Eray and de “Arabian Nights”, written and directed by Angelo Savelli. What is it about? One evening in 1909 in the city Istanbul, on the eve of the closure of the harem, a seductive Circassian awaits the uncertain visit of the Sultan, prolonging the wait with a fantastic story. Almost a hundred years later, a humble housewife dreams of escaping the humdrum nature of her daily life. For tickets and more info click here. Kids, adults and plenty of that confetti which never really goes away can find a happy home in Cascine park ‘I Trionfi di Carnevale alle Cascine. on two weekends this month. You can read more about this festival here. Also on the 14th, there is a ‘kids carnival’ in Piazza Ognissanti in Florence, from 2 till 6pm with plenty of fun events for families. Tours | ‘So You Think You Know Florence’. Guided tours for locals and anyone interested with Alexandra Lawrence. This intiatives is one of my favorites in Florence, not only because Alexandra is an awesome tour guide but also because it opens my eyes to all of the places I don’t yet know about in the city, and most interesting to me, the stories. Email Alex for reservations: a.lawrence@theflorentine.net. Join us and jeweler Elisa Tozzi Piccini for a glittering afternoon of artisan jewelry and historic silverware. Enjoy an exclusive peek at the old-meets-new atelier of Fratelli Piccini jewelry store on the Ponte Vecchio, with romantic views over the Arno, followed by a tour of the Pitti Palace’s Silver Museum. Art | Free Museum Day in Honor of Anna Maria Luisa de Medici. When? February 18th. If there is any woman you have to think for Florence being an artistic hotbed, it is probably Anna, she was the last Medici heir and gifted her incredible art collection to the state only asking it stays always in the city. Now that is one woman with bigger balls than the 5 one’s situated on the Medici armor. To celebrate her, there is always a special event on February 18th that opens all of the civic museums to the public so we get not one, but two free days this month! I highly recommend you read this great article by Hannah and Meg from Florence For Free that tell you more about Anna and this special day. Love or hate this holiday, at least you have options. 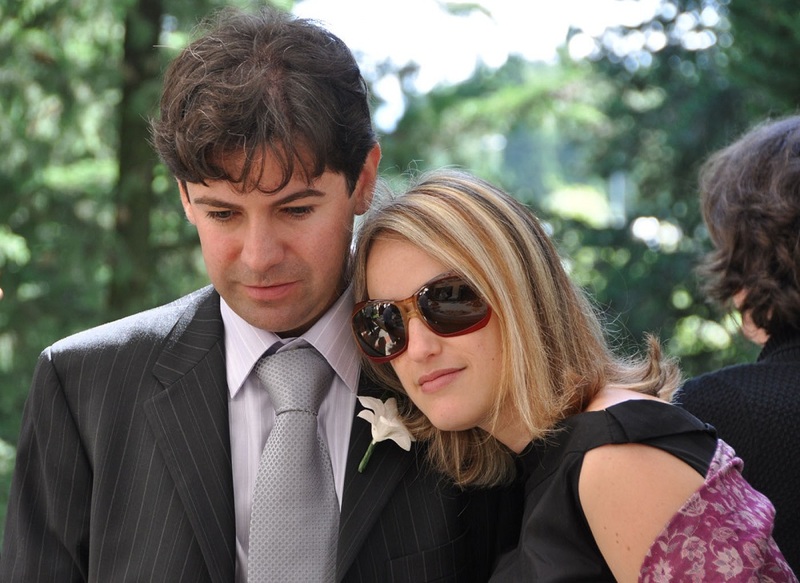 From a brand new wine event for lovers to an anti-valentine’s day festa. Or you can just stay home, watch movies and eat nachos. ;-). Anti-Valentine’s Day organized by Yelp, February 14th at 10pm. Where? Zoe Bar (san niccolo). Every year the yelp community organizes an anti-love (but don’t worry, couples are invited too) and it is a great time. Nico and I have been a few times and had a blast. Drink and food specials as well. More info here. Wine & Party | Chianti Lovers, ‘preview’ this Valentine’s Day. Where? Ex Manifattura Tabacchi, via delle cascine (Cascine park, take the tram from the station, it should be an outside kiosk). From 4pm onwards, anyone can come and try wine (ticket costs 10 euros) recommended by a sommelier and from 7-10pm there is aperitivo and music. Facebook event. Website. Sounds pretty fun and organized by the Chianti consortium and slow food Italy. For ‘Love’ of the Art | Valentine’s Day at the Museum. This year they continue the tradition of letting couples visit a local state museum for half the price, and all you have to do is show up in two. The best part is, they plan on doing this for both the 13th and the 14th so you can double the fun. 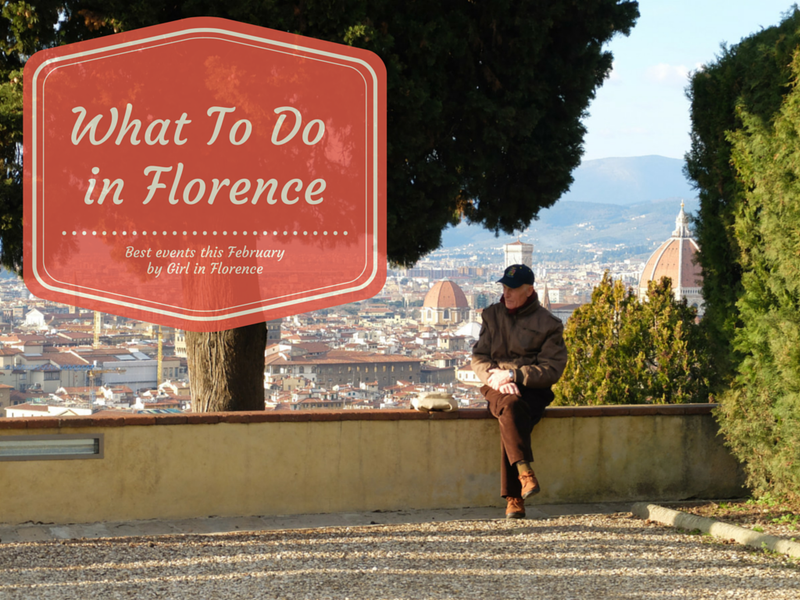 Now is the time to check of the Uffizi museum, Boboli Gardens, Archeological Museum, the Medici Chapels etc. Valentine’s Day in Gold and Silver | Florence will be celebrating couples who have been together for 50 years, in Palazzo Vecchio on the 14th, visitors will be able to see 1,200 pairs of Gold Florentine from 10am – 4pm. How nice is that? Charity Dinner | Why not celebrate this day by helping to give back? At Palazzo Borghese on via ghibellina (which is stunning by the way) they are hosting a charity dinner for ANT, organized by ANT Foundation Italy to raise funds for the service of free home care for cancer patients and cancer prevention projects. It begins with a welcome drink in the hall of mirrors followed by dinner in the beautiful palazzo with live music. Minimum donation of 45 euros a person. Starts at 7:30pm, more details here. Personalized letters | #MadeWithLove, Celebrate Valentine’s Day at Fabriano on Saturday 14 February! And for more reticent romantics, let Fabriano Boutique’s classic love cards express your feelings: Tris di Cuori, Lovers Card, and Ti AMO. via del corso 59, more info here. Thermal Spa | Since V-Day falls on a Saturday, a fun idea would be renting a car or taking the train to one of Tuscany’s Thermal spas. My local favorite, Terme Antica Querciolaia in Rapolano (about an hour from Florence). has a nice deal for the 14th, which includes a fixed-menu dinner and access to the pools, with treatments discounted. More details here. If you look up any terme, I am sure they have deals and you can make it a day trip. Valentine’s Day at the Movies. On February 14th, Odeon Cinehall will be showing the film Birdman. Full program here. Carnivale | Venice, Viareggio and well all over Italy :). 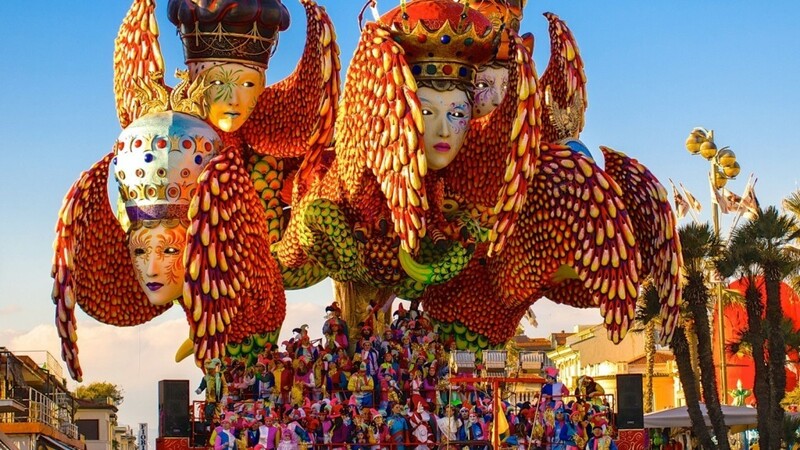 For A list of 5 Top Carnival’s in Italy, click here. It’s already started, Italy’s biggest party with thousands of people heading to Venice to see this ancient festival in all of its glory. 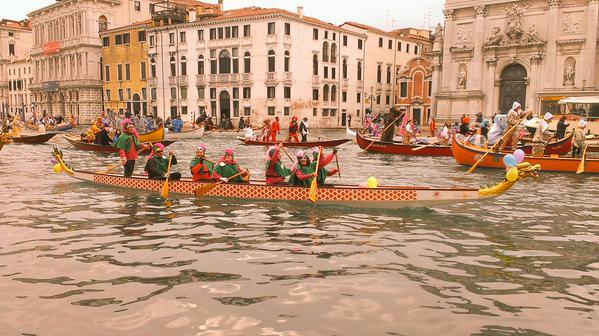 This year’s carnival in Venice started the 31 of January and lasts until the 15th of February. While I have already been a few year’s and don’t revel in the crowds, I really do think the experience is a ‘must’ for everyone if they can make it. This year they are also holding a fair amount of events in the Arsenale (old shipyard) so that it isn’t just about St. Mark’s Square. I recommend also taking the time to stop and visit house-museum Museo della Fondazione Querini Stampalia to see what 18th century ‘high-society’ living in Venice was really like. A must-see is the famed Zombie Walk where the Living Dead lurch their way from the Zattere to the Pescherie (near the Rialto) for an evening party, this year on January 15th at 4pm. Check out their ‘scary’ facebook page for more details. This year is also the Biennale (big deal) and there will be the 6th International Kids’ Carnival of the Biennale, At the new Arsenale location (Sale d’Armi and Corderie, every day from 10 am to 6 pm). The party will be from Saturday February 7 to Tuesday 17 February in Venice. Kids workshops, international representation, songs from around the world and more, which you can read about here. Tips for Students. The European Aegee program is offering a day trip to Venice for carnivale on February 7/8th for only 28 euros round trip. No I did not stutter, that really is the price and I have gone with them at least twice. Not only is this a heck of a lot cheaper than the other student travel agencies will charge you, you get to be on a bus and meet other European students instead of just other Americans. Tickets go fast so contact them asap! To sign up, head to Williams Pub every Tuesday evening from 8-10pm. I highly recommend you visit the carnivale in Viareggio, it is only an hour train ride from Florence and easy to reach from the train station. It is a very different experience than that of Venice and reminds me a lot of my youth at Mardi Gras in New Orleans (minus the drunk people and awkward moments). The parade is so well executed, with satirical floats making fun of world politicians or famous figures and a fun, festive atmosphere. Plus you can get dressed up. If it happens to be sunny outside, you can even take advantage that here, you are right next to the beach, and the board walk in Viareggio is a pleasure to walk down (don’t forget to look for the churro stand). For the best tips on how to navigate one of my favorite carnival celebrations in Italy, check out this informative article by Around Tuscany. All You Need is Love | ‘Verona Love Festival’ February 12 -15th. Food Fair | ‘Sagra delle Frittele’ every Saturday and Sunday until March 29th in San Donato in Collina. 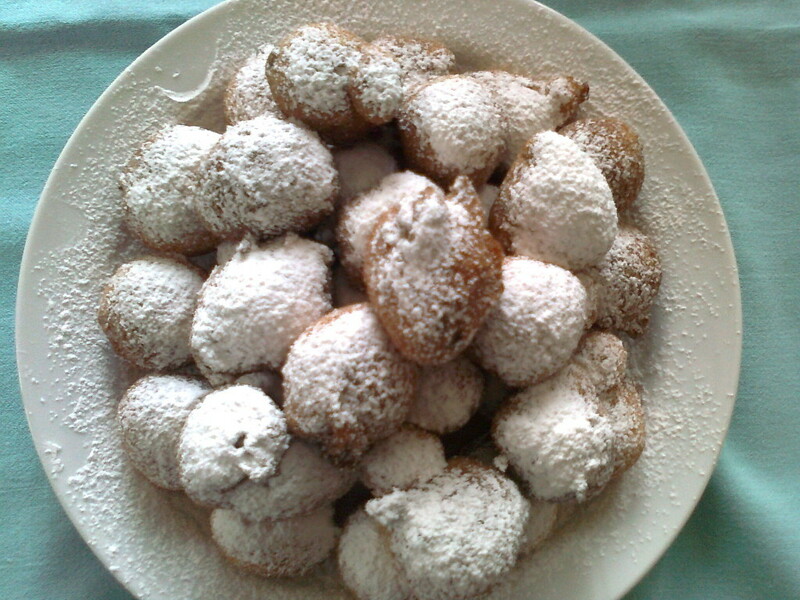 Carnivale means wonderful local sweet treats like the sugary fried balls of dough that are Italian frittelle. They are definitely one of my favorites and though you can get them at any local pasticceria in Florence, I highly recommend going to a small town in Tuscany, like this one, to buy a kilo or two from a woman who has been doing this for decades. 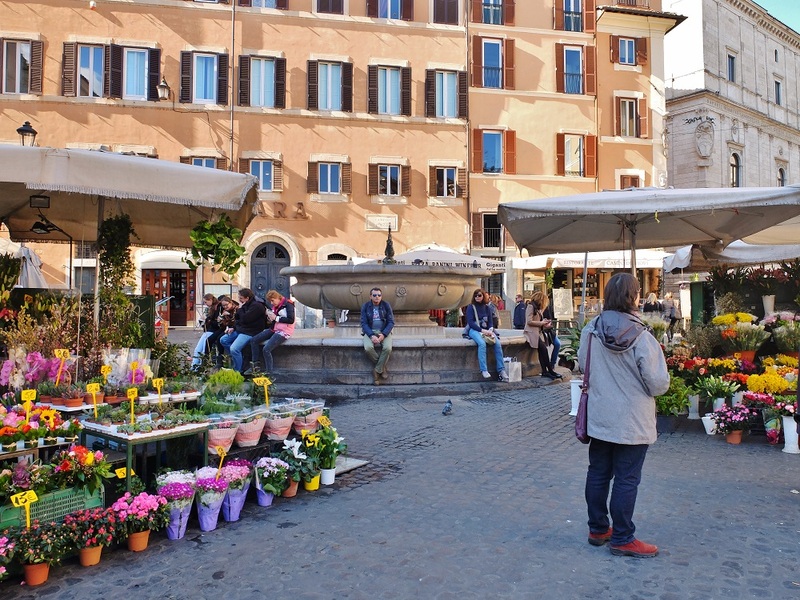 Plus it gives you a chance to wander around a charming old town. *Local Tip! Also in Florence, for wonderful carnivale treats, I highly recommend a stop at the famous Pasticceria Giorgio, Via Duccio di Boninsegna, 36, 50143 Firenze. website. Hands down, this is the best in the city, especially for the schiacciata alla fiorentina. thanks for the shout-out, georgette! so much to do in february, so little time. i’m especially into the love festival in verona…we agree, it’s insanely adorable. Hello Meg it is well deserved, I really enjoyed your article on our cara Anna. I went one year to the Verona love fest and it was a lot of fun, I’d like to go back also to enjoy some of that awesome food and wine.. decisions decisions..
My wife and I have 3 full days next week – Wednesday to Friday. We’re thinking of spending Wednesday and Friday in Florence with a trip to Siena on Thursday. Just wondering what are the non negotiable “must dos” when we only have a couple of days. Also, should we go to Siena or spend more time in Florence?